This product comes with a light, adjustable headmount for hands-free use. The distinct advantage of the binocular format is that both eyes are focused on what is being observed, avoiding the eyestrain that can result from using monocular devices for extended time periods. The compact housing, manufactured in metal and glass reinforced plastic, ensures high durability and reliability. Supplied with a detachable headmount giving the option for hands free operation or hand held use. 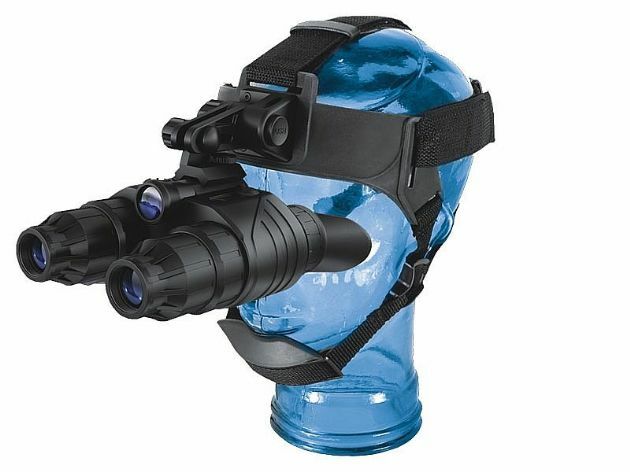 The Edge NVG is operated by two buttons – one for on/off and another to activate the integrated IR illuminator. There is also an IR illuminator brightness dial.